Athens is a place with thousands of years of history and mythology under its belt, where the ancient and the modern effortlessly mingle. 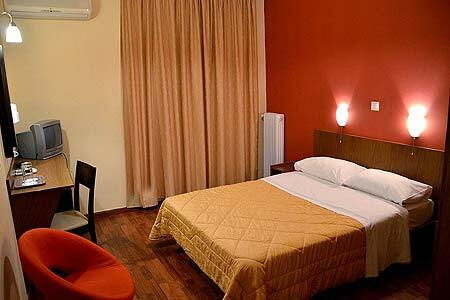 Exarchion hotel is located near Syntagma Square, the Athens city center, and also near Plaka and Acropolis. The Athens Archaeological Museum is just five minutes walk away and Academias avenue with its classic buildings about ten minutes away. 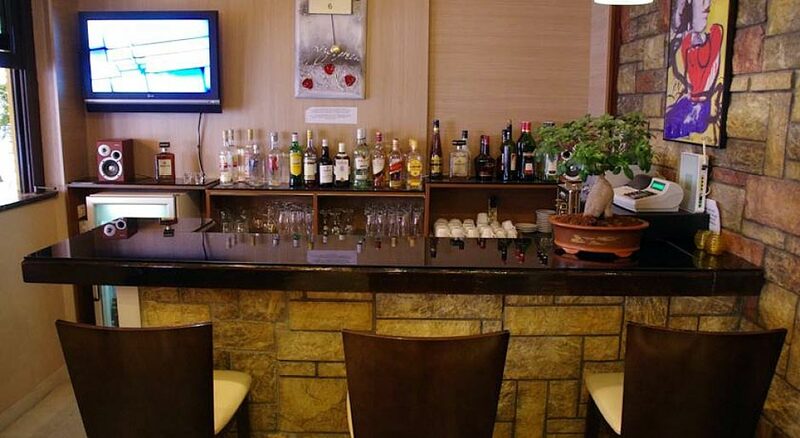 There is a metro station less than ten minutes walk away and also numerous bus routes stopping close to our hotel, among them a bus connecting the area with the new Athens international airport. 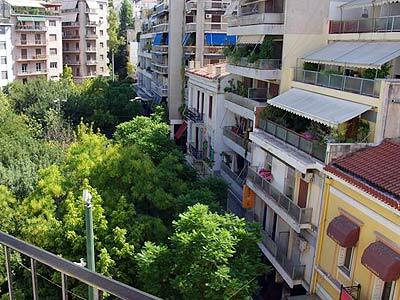 This way, exploring Athens from our hotel or using it as your base to visit the Aegean islands, becomes really a joy. 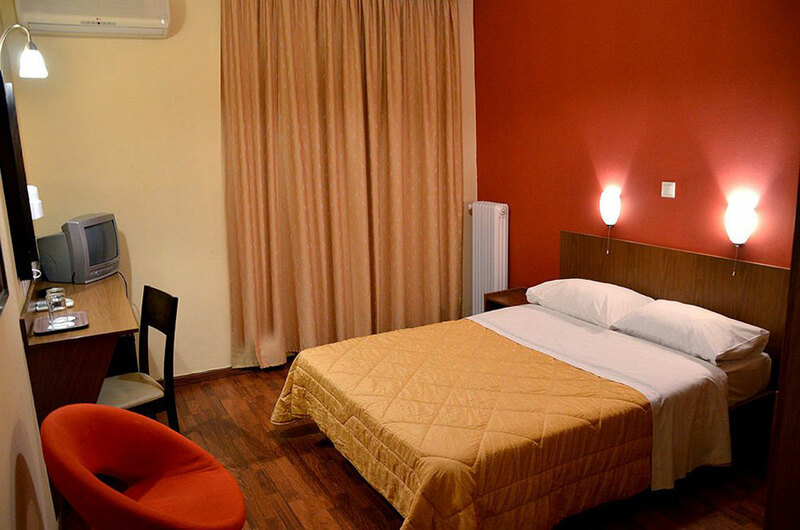 The Exarchion Hotel is in the center of Athens, Greece, and puts everything conveniently within reach in order to explore this exciting city from its heart. 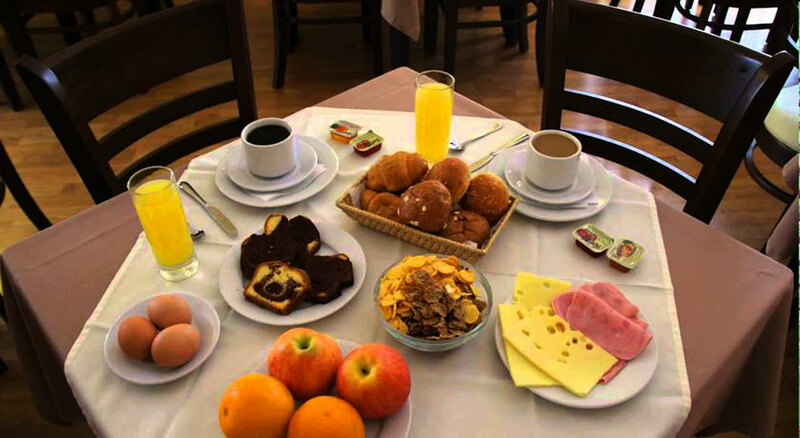 Whether you visit Athens for business or for a holiday, you will certainly have a few free hours at your disposal to explore the beauties of this gifted city and find out a lot about its customs and tradition, the reminiscences of a glorious past that so easily mixes with the modern today. 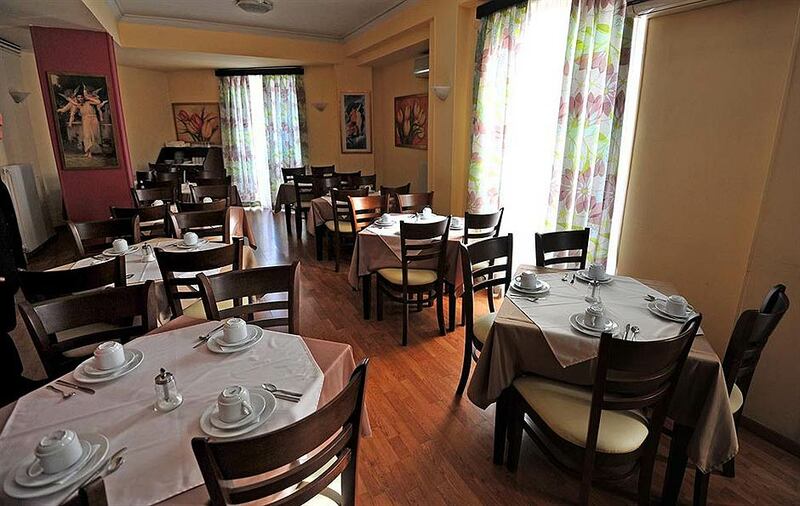 Fully renovated in 2007, our hotel is in excellent condition and ready to host you and your family, your friends and associates. 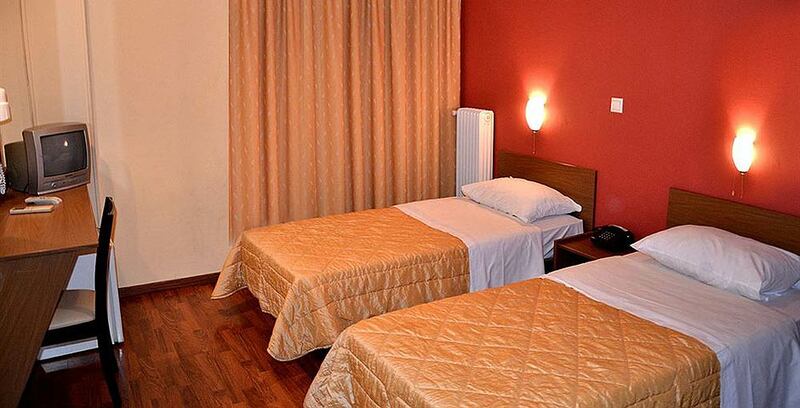 Take a look at our hotel rooms and facilities. 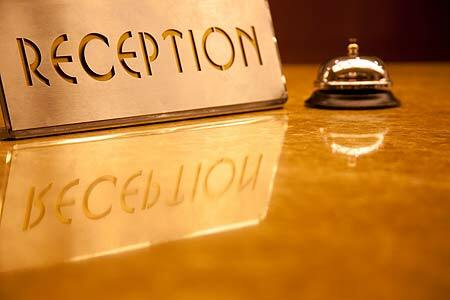 To make a reservation request, please fill our hotel room reservations form. We are connected! 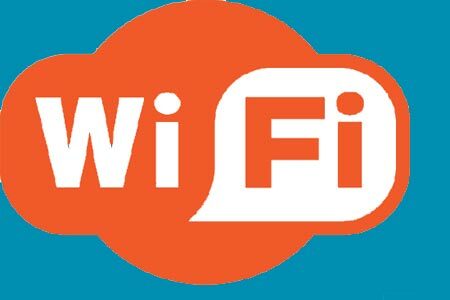 Stay in touch with family, friends and business with our free internet wi-fi, everywhere in the hotel, including hotel rooms. 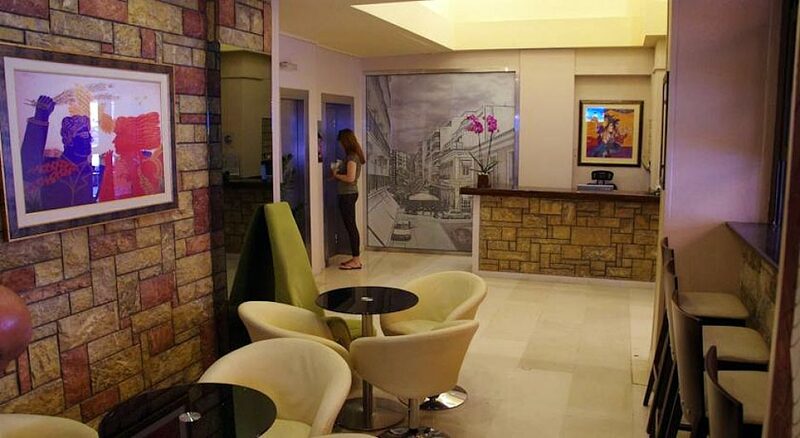 The Omonia metro station is just five minutes walk from our hotel. 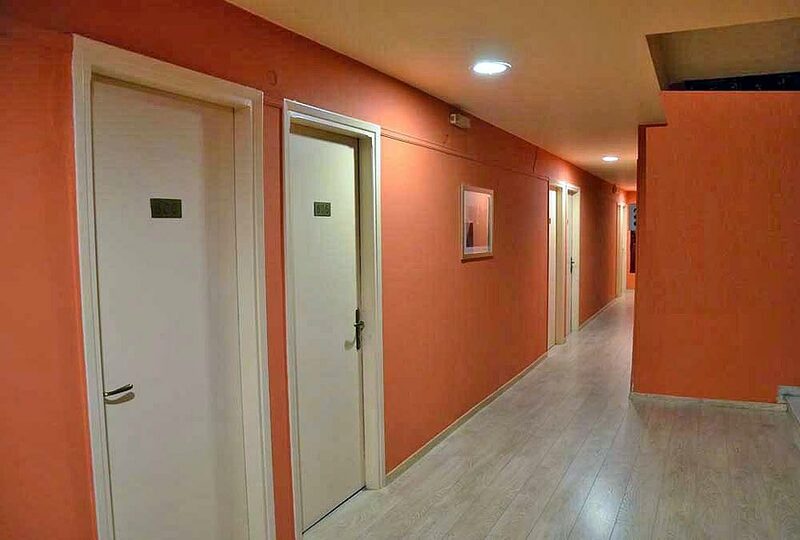 You can use the metro to visit sight seeing not very close to our hotel, and go to (or come from) Athens Eleftherios Venizelos international airport very easily. Or you can go to Piraeus port to visit the Aegean sea islands. 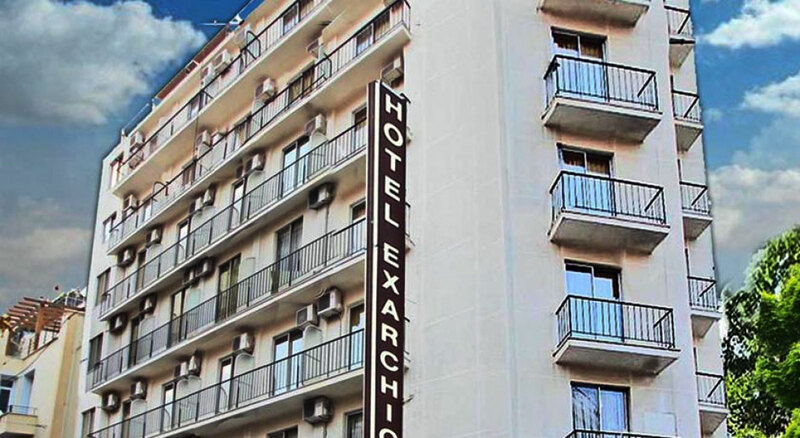 Exarchion Hotel is located at Exarchia square. 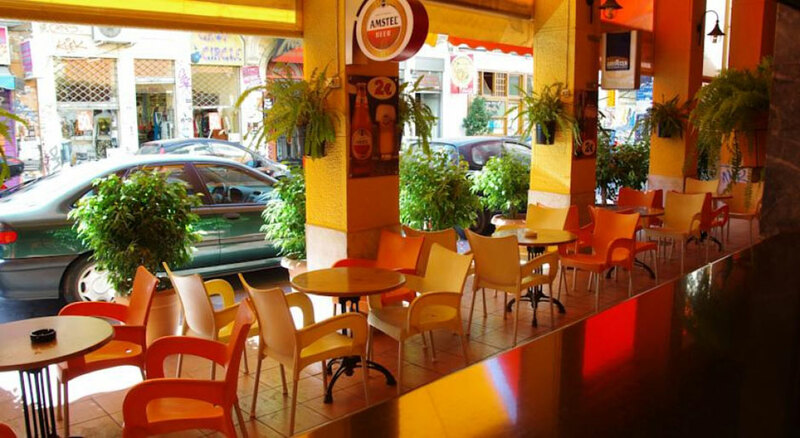 The square is known for its alternative culture style, with a lot of cafeterias and restaurants within two minutes walk. The whole area surrounding the hotel is very active and full of live. Athens, with its thousands of years of history, offers to visitors endless opportunities to see and learn for its history. From Exarchion hotel, many of these monuments are within walking dinstance. For most of the rest sightseeing a public transportation is within walking dinstance. Are you travelling to the Greek islangs in Aegean sea? 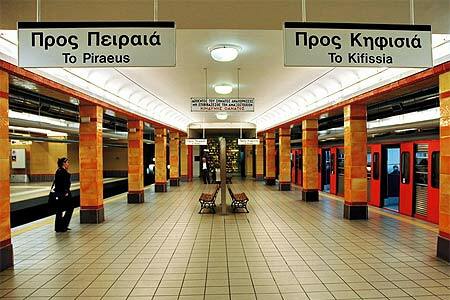 The sub-way station to Piraeus port where you can cath the ferry is a mere five minutes walk from our hotel. 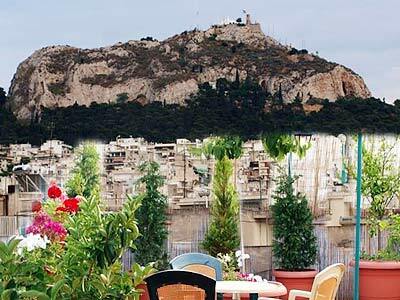 So is the station to the Flea Market or to Acropolis.